The Iranian nuclear program has brought Saudi Arabia and Israel closer, according to a report in Israeli media. Saudi Arabia has now offered to let Israeli fighter jets use its airspace to attack Iran when necessary, in exchange for Israel making progress in the peace talks with Palestinians, a senior European source told Israeli Channel 2. “The Saudi authorities are completely coordinated with Israel on all matters related to Iran,” the European official in Brussels said. 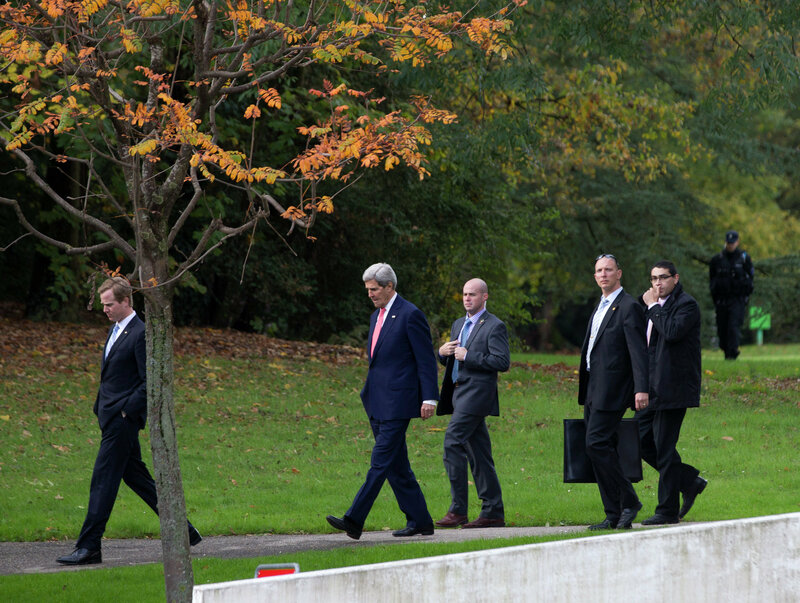 U.S. Secretary of State John Kerry, second left, walks in the grounds of the Intercontinental Hotel in Geneva, Switzerland, before a meeting with EU High Representative for Foreign Affairs, Catherine Ashton and Iranian Foreign Minister Mohammad Javad Zarif, Saturday Nov. 9, 2013. Using Saudi airspace means that Israeli Defense Forces could strike Tehran at a shorter distance, without having to fly around the Persian Gulf. The Channel 2 report also highlights shared intelligence between the Jewish state and the Arab nation on Iran’s nuclear program, both worried about the outcome of the Geneva talks currently underway. Although Jerusalem and Riyadh do not have diplomatic ties, there have been many unconfirmed reports about a possible coordination between them against Iran. Some other Arab states, including Egypt, Qatar and the United Arab Emirates, have also expressed concerns about Tehran’s nuclear program, which Iran claims is being developed for peaceful purposes only. Nevertheless, these major Sunni states fear that allowing Iran to continue enriching Uranium and build centrifuges might launch a nuclear arms race in the region. The Channel 2 report comes amid increased tensions between Washington and Israel over the US position on Iran's nuclear program. Netanyahu has warned several times that Tehran must not be allowed to have nuclear capabilities, while Iranian officials assert that their program is purely for civilian use. 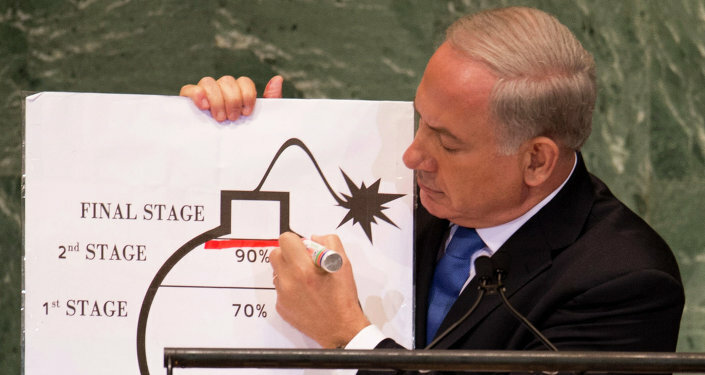 A recently leaked Mossad cable revealed that Netanyahu allegedly misinformed the UN about Iran’s nuclear program, warning that the Islamic Republic is a year away from completing its “plans of building a nuclear weapon,” to justify Israel’s rights to act militarily when necessary. 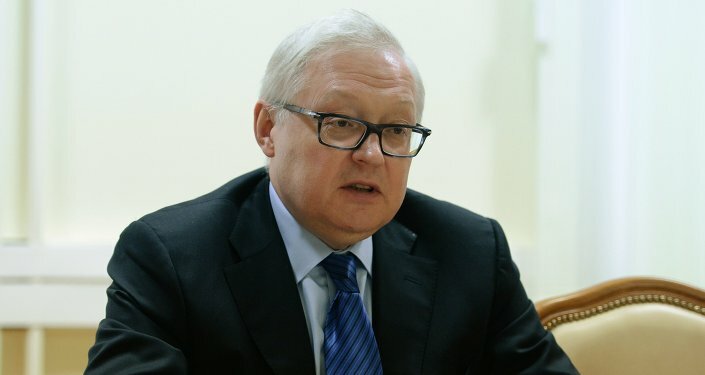 The US, along with Britain, China, France, Russia and Germany, known as the P5+1, are seeking a comprehensive accord with Iran, to reach a 10-year nuclear freeze of its Uranium enrichment program in return for easing of economic sanctions.